Many industries have discovered the value of employing workers with disabilities, yet these individuals continue to be the most under-employed minority in the United States. 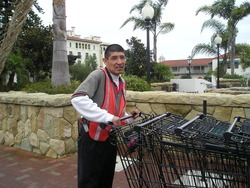 UCP WORK, Inc. employs experts in the field of employment services, who through innovative approaches, increase competence, employability and confidence of job seekers with disabilities, while meeting the expectations of our community partners. Employers throughout Santa Barbara County have discovered that working with professionals in the field of job placement and on the job support, ensures a successful employee/employer relationship that enhances the workplace and ensures longevity and job satisfaction. UCP WORK, Inc. staff are available for sensitivity training with co-workers, as well as ADA assessments upon request.